What is a mortice Lock? – A lock which is set within the body of a door. These types of locks are typically found on wooden doors, the components of a mortice lock are recessed within the woodwork of a timber door frame; otherwise know as the pocket of the door. Mortice locks are supplied as sashlocks or deadlocks, sashlocks incorporating a handle and latch mechanism, which allows the lock to hold the door in a closed position. Standard mortice lock use internal levers to lock and unlock the dead bolt. A key is inserted into the lock casing, which when turned will lift the levers inside the lock to the correct height, this allows the key to operate the bolt thrower which moves the locking dead bolt in or out. Lever locks can have different numbers of levers, depending on the application and security level required. Mortice locks can have 2, 3, 5 and 6 levers, the most popular are 5 Lever British Standard Lock, these conform to the latest British Standards and requirements for UK insurance companies. Mortice locks can be purchased in two standard sizes, 64mm (2.5”) and 76mm (3”), other sizes are available these includes 50mm and 102mm. Doors with a large pane of glass and aluminium doors have a very narrow stile, the section that a mortice lock is fitted too, and therefore need a narrow mortice lock case, such as the 50mm lock. 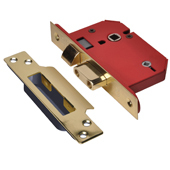 The case depth and backset measurements on mortice locks are generally the most important. 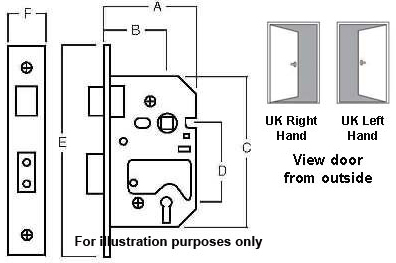 The case depth (A, see below) is the measurement from the front face plate to the very back or the lock and the backset measurement (B) is again from the front face plate to the centre of the key hole. 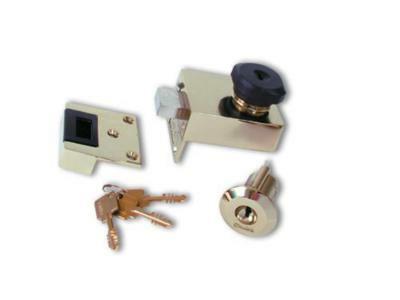 Other types of mortice lock are available for different door types and applications. Mortice lock case with dead bolt and latch, however the key hole and spindle for knob turns are horizontal to each other, rather than the more standard vertical to each other. Horizontal locks are most commonly found on older style period doors, these often have ornate large door frames that would hamper the operation of a handle of knob of a standard mortice lock. Making some what of a come back are sliding doors, which offer great space saving within small rooms. A normal dead bolt can not be used with a sliding door, so instead a hook or claw bolt is used instead. Operated in the same way as deadlock and sashlocks. New from world renowned home security experts Yale, is a specialist letter plate restrictor that will restrict how far an internal letter plate will open. Modern doors do a great job of keeping us secure with high security locks and bolts, however, they have 1 major flaw with this security and that is the largish hole through the door to allow letters and mail through. A letter box hole is vulnerable in many ways and can be used from the outside to peer through and find out who is home, unwanted items can be pushed through a letter box and the letter box can also be used to ‘Phish’ items out of a property. Yale has developed a product that cures this door vulnerability with their new Letter Plate Restrictor. The locking bar moves up and down the horse shoe shaped runner, when the desired position is found, the bar is screwed onto the runner thus restricting movement of the internal letter plate. 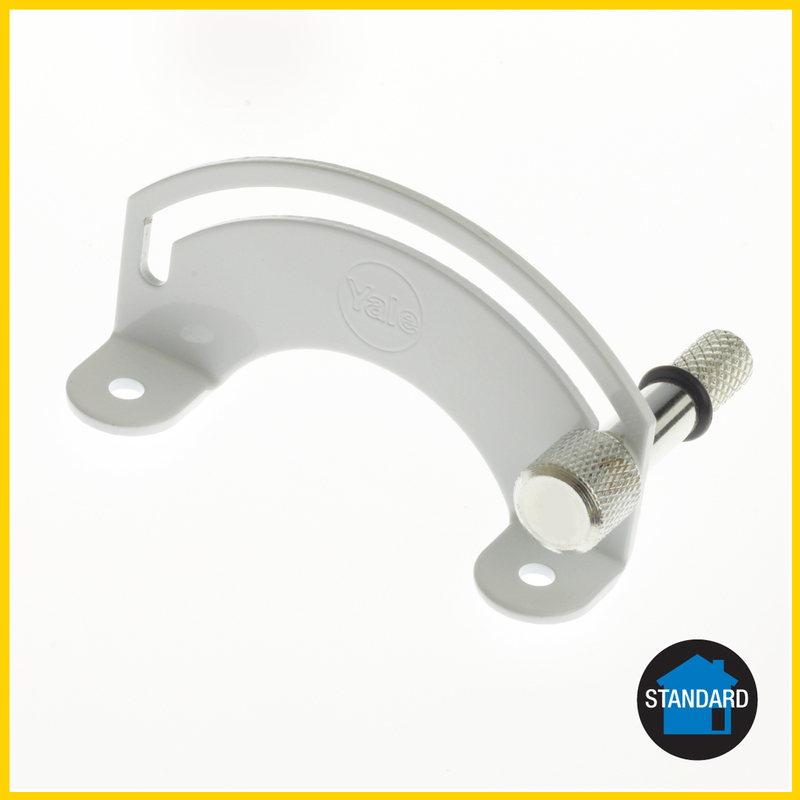 The restrictor is very easy to install and can be fitted to UPVC, wooden or composite doors and can be purchased in a white or chrome finish to suit existing door and furniture colours. The importance of window locks. As the style of windows change and evolve, so should the security around them, windows are often overlooked when accessing a property’s security level, but windows can be an easy entry point for intruders. British Insurance companies often now specify that windows must be secured with a key operated window lock, but which window locks should be fitted? Sash windows can be some of the easiest windows to secure with their overlapping frames, a simple pair of stops are fitted to the upper sash window preventing the two sashes from sliding past each other, additional stops can be fitted above the locking stops to allow ventilation. Other sash window locks, such as sash jammers, are fitted to the central bar, these also restrict the sliding movement of sash windows. Tall windows hinged on the left or right are known as casement windows, these are often secured with a long handle at the bottom and a smaller handle on the side, both of which need to be locked. Locks can be attached over the existing handles or new handles with integrated locks can be fitted. Swing locks can also be fitted to casement windows, these have the added benefit of providing extra draft proofing as the locking action pulls the window tighter into the window frame. For larger windows it is recommended to fit more than one lock to provide maximum protection, these can be placed at the top and bottom of a window. Small ventilation windows at the top of a set of windows are known as fanlights, although these are small windows, they too need to be locked as they can be used to reach inside a property and open a larger window. Window swing locks can be used, so too can mortice window bolts, these are small locking bolts that are fitted into the edge of the window and a locking bolt is then extended into the frame to offer locking protection. Old style Crittall windows can be very hard to secure, specialist locks are available but are difficult to fit. Locks can be fitted to Crittall window handles, these restrict the movement of the handle and thus stop the window from opening. For more extreme window locks, window bars can offer great protection and give excellent visual protection as well. Window restrictors are also popular, especially within homes with small children. Any windows that are opened during the summer months for ventilation can pose a safety and security risk. Most break-ins are unplanned and are committed by thieves that notice an open window, open windows can also be a safety risk to small children that could fall through an open window. Window restrictors, as the name suggests allow a window to be opened for ventilation, but no too far that someone could get in or a child could fall out. If you are looking for window locks, but are unsure of the exact type or style of lock required, do not hesitate to give our sales team a call for expert independent advice. Originally designed as a simple window locking device, the humble sash jammer has turned out to be one of the most versatile locks ever created. The term sash jammer is a registered brand name owned by Fab & Fix, now part of the Grouphomesafe family of companies, therefore similar products are also known as Sash Stoppers, but effectively they all do the same thing. The simplicity of the sash jammer is its key feature, with just two main parts there is not much to go wrong or complicate the locking procedure. The locking arm part of the jammer is the only moving part of the lock, this is swivelled into the locked position to restrict movement. Sash jammers can be used with outward and inward opening doors and windows, on a standard outward opening window the lock body is attached to the moving window with the arm moved across to the window frame to lock. 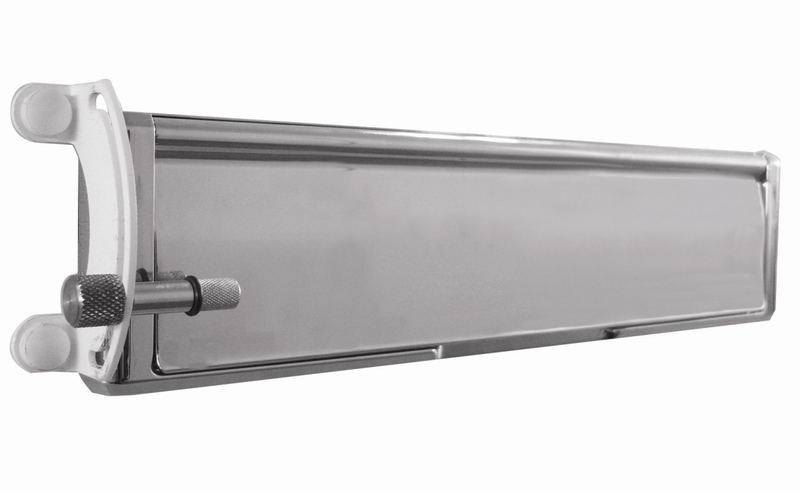 With an inward opening window or door the jammer body is attached to the frame with the arm moving across to prevent inward movement of the window pane or a door. 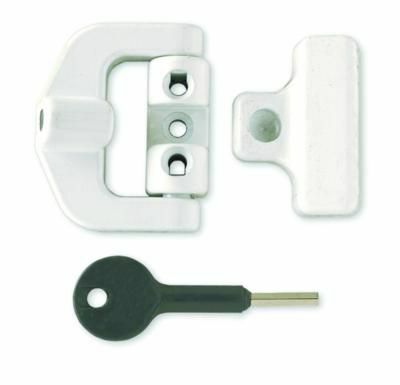 The simple nature of the sash jammer has allowed this locking device to be used on a wide range of windows and doors and has even been used to restrict letter box opening. When fitting sash stoppers the size of the item to be protected should be considered, for any large windows or doors, two or more stoppers should be used. Sash jammers can also be purchased locking or non locking, this allows the device to be locked closed for increased security. Different colour jammers are also available to match colour of windows or doors. 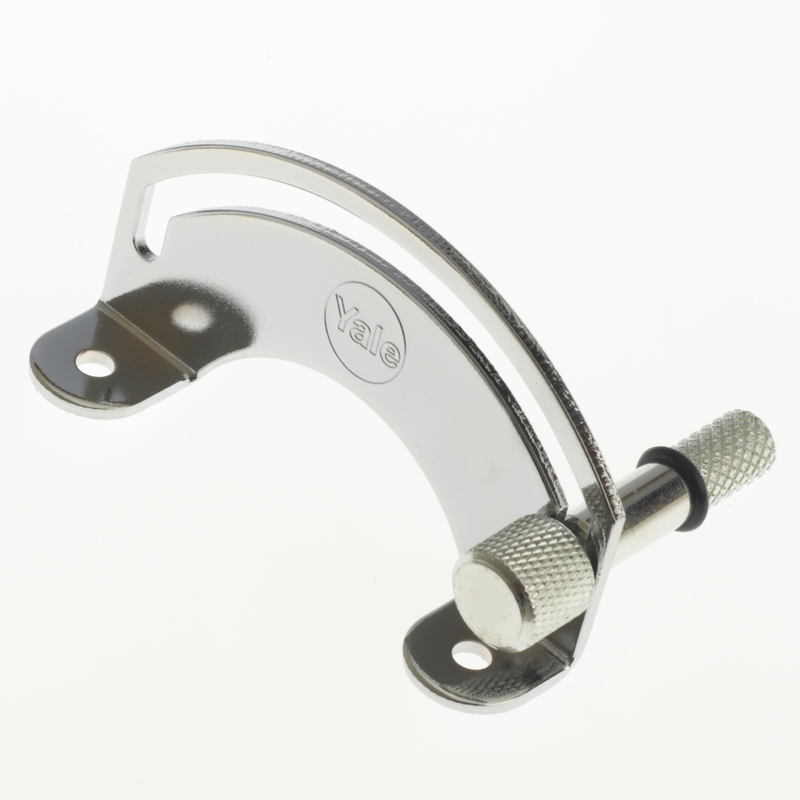 Here at locktrader we have a wide range of Sash Jammers and Stoppers, please take a look at the range here – http://www.locktrader.co.uk/UPVC-Sash-Jammers-and-Stoppers if you require any more information about sash jammers then please contact our sales team. Often considered the same, but in reality very different, keyed alike locks and master key locks are methods by which a group of locks can be bunched together. Almost as it sounds, keyed alike refers to 2 or more locks that operate with the same key. Keyed alike locks can often be found when 2 or more locks are used to secure one door. For example a large roller shutter door on an industrial unit, due to its large size the door requires a number of locks to fully secure, therefore to make the unlocking process nice and easy, keyed alike locks can be used. Homes can also benefit from keyed alike locks, rather than separate keys for the front door, side door and patio door, all these locks can be keyed alike, thus offering just one key to open three different doors. An advancement of keyed alike locks is a master key suite, here a group of similar locks each has their own set of keys, a master key can be used to operate all locks in the suite. Often found in commercial properties master key suites allow for an individual to have access to a room or office, but also allows management, maintenance or cleaning staff to have access. A cylinder lock allows a locksmith to easily create a master suite, the internal pins found within a cylinder allow for almost endless possible key combinations, cylinder locks are also available in many formats that can be used to secure various locks and doors. Master locks can also be further split up into sub master groups, here you would find a grand master key that would open all locks in the suite, then sub master keys and groups can be set up to have access to certain locks. Master suite locks are also very adaptable, once a suite has been established adding or removing locks can be easily achieved, by quoting a suite reference number, extra locks can be pinned to extend an existing system. Restricted key profiles are also often used with master key suites, these offer extra security by limiting who can obtain extra keys, with a restricted profile only an authorised signatory can order replacements. Locktrader offer keyed alike and master keyed locks off the shelf, or for more advanced systems we can create a system to match your exact requirements, contact our sales team for more information. Home security is a hot topic across many DIY forums, as households look to increase the security of their home and belongings, these tips are obviously working working, with burglary figures in decline, which is unusual during this economic downturn. Insurance companies have, for some time now, insisted that external doors be fitted with British Standard Locks and all windows are secured with a key operated lock, however many homeowners are not sure of the correct type of lock that should be fitted to their doors. More traditional wooden doors are much thicker than newer doors and therefore can be fitted with a British Standard mortice lock, look out for a mortice lock that has BS361:2007 the current BS Kite Mark for mortice locks. 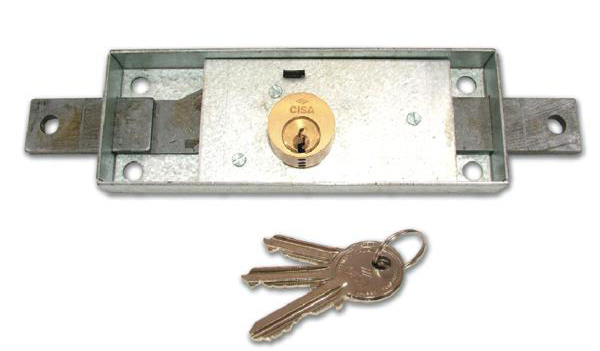 This type of lock can be purchased with the more traditional mortice / skeleton keys or for anyone that would like smaller cylinders keys a mortice lock kit can be used that includes the lock case, a double cylinder and security escutcheons. Nightlatch locks can also be used to secure a timber front door, again make sure the lock has gained British Standard approval. The most common type of external door now fitted to UK homes is the humble UPVC door, offering great value, low maintenance and endless style and colour options. As these doors are quite thin a mortice or rim lock can not be used, multipoint locking devices have been developed which offer excellent levels of security. Multipoint locking devices can be seen down the length of the door edge with hooks and bolts that engage with a keep that is securely attached to the door frame, often a lift of the handle is required before the door can be fully locked to engage the locking parts. Multipoint locking devices have their own set of British Standards that they must adhere to, but the locking cylinder is also important. For best security levels cylinders that have a BS kite mark should be used, these also often have anti pick, bump and snap capabilities that will protect the cylinder from almost all kinds of attack. Unlike door locks, window locks are not covered by any British Standards, homeowners are advised to check the wording of their insurance policy, but most require a key operated lock. Handles that are fitted to UPVC windows are normally supplied with a locking handle, these are adequate for insurance purposes. Older timber or metal windows with handles without keys will require an extra locking device to satisfy insurance companies. Small locks can be fitted over existing window handles that restrict handle movement and the ability to open the window, other window locks can be fitted to the window frame, locking the window in place. For any help and advice with British Standard Locks, please give our sales team a call. London and other large Cities have been revelled as the UK’s Burglary hotspots according to recent research from moneysupermarket.com, M21 in Manchester has the worst break-levels closely followed by SE24 in London, Liverpool, Birmingham and Leeds areas also feature in the top 20. At the other end of the scale, 9 postcode areas are credited with no reported burglaries, these are scattered around the UK and include areas in Wales, Scotland and Northern Ireland, however this is a reduction on the 16 areas from last year that had no reported insurance claims resulting from a break in. Home break ins can be reduced by fitting and using the correct and effective locks to doors and windows, often households make it very easy for criminals to enter their property with some basic security flaws, this can include leaving door and windows open or unlocked. Home owners are encouraged to check their insurance documents for details of lock requirements, often insurance companies will specify the type and lock standards for doors and windows. Cases have been known where an insurance claim, following a robbery has been rejected as a result of incorrect locks or doors and windows having been left unsecured. Here at locktrader we supply a wide range of locks for doors and secondary security items to suite all types and styles of doors and windows, if you are looking to upgrade your security levels but not sure of the best lock or security product, them please get in contact with us. We offer full impartial security advice to anyone that is not quite sure of which lock will best fit their door and locking requirements. When it comes to the home, environmentally friendly considerations are no longer strange concepts for homeowners. And we’ve all changed our daily habits to a certain extent to accommodate for them. However, there remains a common belief that to be eco-friendly, other areas must be compromised – more money must be spent, quality must be negotiated etc. Security products made from recycled materials are beginning to enter the market, such as wireless burglar alarms and smoke detectors. As long as they are tested regularly like all burglar alarms, some of these can be more durable and long-standing than the newer systems. Solar panelling to power whole security systems is also becoming a very real option as solar panels are expanding for self-sufficient homes who want to generate their own electricity. There’s no reason why all lights used in security lighting needn’t be low energy halogen bulbs, keeping both power usage and electricity bills down. 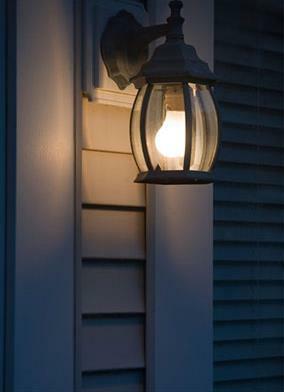 A PIR sensor will ensure that these lights only turn on when movement is detected. Similarly, replacing all light bulbs around the home with energy savers will mean that leaving lights on when on holiday or out the house at night doesn’t have to cost the earth. For the ultra tech-savvy, there are now even smartphone options that allows the user to control lighting and home security remotely, meaning an optimum balance between security and energy use can be attained. The parts of your home most vulnerable to intruders – are another area in which green considerations can be made. Insulation is key to an energy efficient home, stopping heat from escaping and consequently requiring less power to sufficiently warm the house. Double or triple-glazed windows provide extra security from break-ins alongside their thermal insulation qualities, while composite doors can be a better alternative to uPVC models, as the foam filling and durable hinges make them highly robust and energy efficient. Even simply fitting insulated roller blinds to windows in your home – especially those in the isolated areas of your property – will bring heating bills down, while also keeping your possessions hidden from the beady eyes of opportunistic burglars. Insulating doors shouldn’t just apply to the front and back entrances of the home – garage doors can also benefit hugely from having insulation properties. If your garage is connected to your home, it could be the biggest culprit in terms of heat loss – not to mention a highly vulnerable access point for thieves. There are a number of secure, insulated garage doors available at reasonable rates on the market today, and the savings made on energy bills will repay this cost in no time. Any valuables you keep in your garage will also be extra protected, as will any entranceways to your home from here. All of the above steps are easy and cost-effective ones that we can all take to improve the eco-friendliness of our homes without compromising on your standard of security systems– and in some cases enhancing them. As an internal space saver, you can’t get better than a sliding door! Standard hinged doors use a lot of possible internal storage room with the amount of space required to open and close the door. Locks for sliding doors can not use standard mortice bolts as these will offer no protection, instead a hook or claw bolt lock is required. Union Locks offer 3 mortice locks that can be fitted to a sliding door, all of which use a claw bolt to engage into the keep and lock the door. The 2426 turn operated lock can be used on a sliding bathroom door in conjunction with a bathroom indictor. Also from Union is their 2477 mortice sliding door lock, this 3 lever lock uses a standard mortice key to expand the claw bolt into the keep. For office sliding doors, Union also produce a claw bolt lock that is operated by an Oval cylinder, this will allow this lock to be included within a commercial master key system. All of the Union locks suitable for sliding doors are deadlock only, therefore separate flush handles will be required to open and close the door. 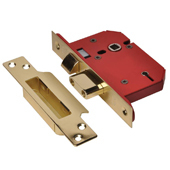 Willenhall offer a mortice sashlock and mortice latch that are suitable for sliding doors, both of which are supplied with flush handles in either a brass or satin finish. Flush mounted push bolts can be used to further secure sliding doors, these can be fitted to the top or bottom of a door with the locking bolt pushed up or down into the door frame. Handles for sliding doors can be tricky to locate as they need to be flush with the door to allow sliding door to operate correctly. Union do offer a flush door handle, the Union 5570 comes in a silver finish with a 16mm recess. If you have any questions about sliding door locks please get in contact with our sales team. With spring just round the corner, many gardeners will soon be out tending to their plants and shrubs, garden sheds are ideal for storing garden tools and equipment but don’t forget to secure these items. Sheds have become high targets for thieves due to the valuable contents and low security levels, often sheds are left at the bottom of the garden and not given a second thought as to how vulnerable they are. Although individually standard garden tools are not hugely expensive, but combine all tools required to look after a garden and the value soon starts to rack up, therefore it is important to protect these items. Typically shed doors are protected by a padlock attached to the door by a simple padlock hasp, however these are often very cheap locks and not that secure. We would recommend a high security padlock and hasp, look for products which have been awarded ‘Sold Secure’, these products have been independently tested and verified for their security protection. Rim locks can also be used to good effect on shed doors, this type of lock is fitted to the inside edge of the door which offers security and weather protection to the lock. Rim locks can either be of a lever type with a long ‘skeleton’ style key that is passed through the door to lock and unlock or Nightlatch locks which use a rim cylinder on the outside of the door. Both types of rim lock offer good levels of security, with more expensive nightlatch locks offering high levels of security. Locks are only as secure as the material they are attached to. Shed walls and doors are normally single sheets of wood, this will mean that any lock that is fitted to a typical shed will often be stronger than the door it is attached to! This leads to the common security conundrum, with a fairly weak door is it better to secure items inside a shed rather than protect a flimsy door that could easily be broken, leading to more repair expense to the owner. Items stored inside a typical wooden garden shed can be easily protected by a cable style bike lock, this is used to connect all tools together, making them all impossible to remove, larger items such as lawnmowers should be locked and attached to a ground anchor, this could be screwed to the concrete base of the shed. For increased defence against theft an alarm padlock could also be used, with a loud siren that is activated when moved, this will scare off any thieves and alert people. Location and surrounding items of a shed are also important when considering security, a shed that is hidden from sight will be more vulnerable than one that is visible from the house or the street. Also consider lighting, a solar powered light with motion sensor could be used to illuminate a shed and its surroundings. Large bushes, especially those with sharp thorns can also be used to increase security by restricting places that an intruder can hide whilst trying to gain access to your shed! We have a lot planned for spring 2014, starting with the addition of digital door locks to our already extensive range of locks. Combination digital door locks offer very simple access control solutions for single doors, when the correct combination code is entered the turn knob allows access through the door. During early spring, when people start getting out on bike again, we will be giving away an ABUS 6000 Bordo Foldable Bike Lock via our Facebook page. 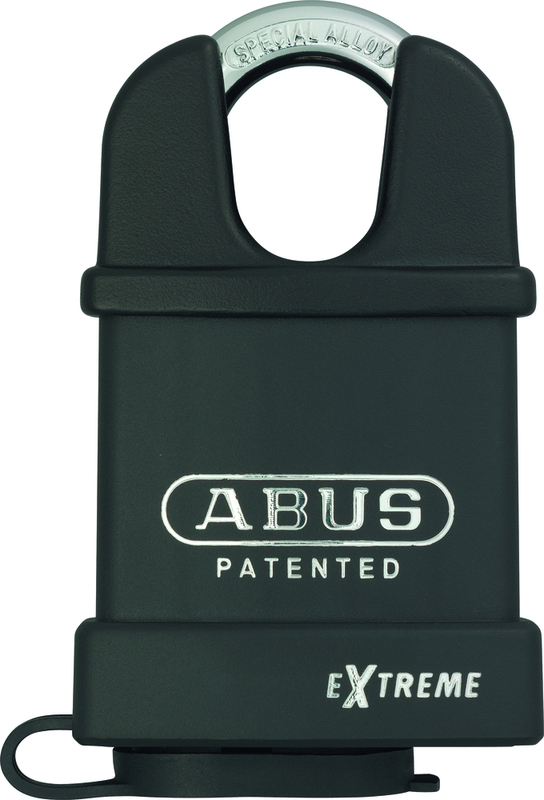 The ABUS Bordo cycle lock is unique to ABUS with its excellent folding capabilities and high strength which makes this bike lock easy to use and carry along with offering great levels of security. Keep your eye on our blog throughout 2014, here you will find lots of new and interesting articles relating to home and business security, crime levels in the UK are falling and with our security tips and hints you could protect yourself against potential break-in. Details of new products will also be posted on our blog with products pictures and reviews so you can keep up to date with all new security products to the UK market. We will continue to offer weekly product deals via our facebook, twitter and google+ feeds, these are published on a Monday and last throughout the week, sign up to get details of these deals each week. As always we are happy to help and assist in any way with all aspects of domestic and commercial security, if you are concerned about security or would like to upgrade your current locks, but don’t know what you are looking for, please contact our sales team for independent expert advice and help. Here at locktrader.co.uk we just wanted to wish all our customers a very Happy New Year, here’s to a secure and safe 2014. We can’t quite believe where 2013 has gone, we have had a very busy year as one of the UK’s leading lock and security supplier. Lots of new products were launched during 2013 with Yale leading the way with a new home alarm system and a new range of home electronic door locks. Asec have also increased their range of high security locks with the New Asec Kite Cylinder locks, these offer high levels of security at low prices. We look forward to dealing with orders from repeat customer and new customer alike during 2014. Wishing everyone a very merry Christmas. Stay safe this festive time remember to lock all doors and windows when you are out. Best regards, the locktrader.co.uk team. The festive period is upon us again, a time for fun and enjoyment with family and friends, however home break-ins also increase during this time of the year. Simple steps can be taken to increase the security around your home, to protect your home and it’s contents. As much as we try and prepare for Christmas, it inevitably ends up as a mad panic on the last few days leading up to Christmas, as we all rush around trying to get that special toy that our nephew wants or the exact type of sherry that Grandma drinks. At this time of year, home security is the last thing on people’s minds, but as we prepare to place all the expensive gifts under the tree, it is worth considering these points. Thieves like an easy target, a home that is empty is an easier target, make sure your house looks occupied. Recently new to the market are TV simulators, these mimic the effect of scene changes, colour shifts and on-screen motion of a television set, to give the impression of someone at home and watching TV. If you are lucky enough to go away for a period of time over the festive period, make sure that any deliveries are cancelled, piled up papers or unused milk are a dead giveaway that people are away. Make sure that all doors and windows are securely locked, this might sound obvious, but 20% of break in are made without force via an open window or unlocked door. Power cables for exterior lights should not feed through a partially open window, instead use solar powered lights or fit an external power socket. Remove or secure any items in or around your garden that could be used to enter your house, a set of ladders could be used to gain access to a window. If these items cannot be safely stored away, secure them with a chain and padlock to an immovable object or a wall / ground anchor. Spare key should never be left outside, even if you think the location is secure, criminals know where to look! Hide presents not just from the kids but from sight of the window and outside, if needs be close curtains to prevent anyone peering in. If possible don’t display your tree or presents next to the front window, this could lead to a smash and grab attempt. Small home safes can be used to store gift receipts, if the worst was to happen, these can be used to prove purchase and value, for very expensive items make a note of serial numbers. 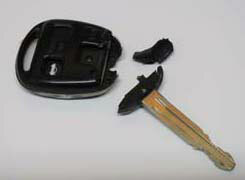 Key safes are popular to hold car keys, once inside a property a criminal could use your car as a getaway method. External security lights with motion sensors will illuminate the front of your house when approached, this will put off thieves who like to work under the cover of darkness, outside Christmas lights can also brighten up the front of your home. Timer switches for internal lights can be used to good effect to give the impression that someone is home. According to recent surveys, social media is a tool that burglars are using to scout for potential targets. As all members of the family are becoming more Social Media savvy, it is very easy to give away your location and time away during the festive time. Remember to stay safe over Christmas, look out for others and have a great time. Over 20,000 bikes were stolen last year in London, a staggering statistic considering that only 1 in 5 bike thefts are actually reported. 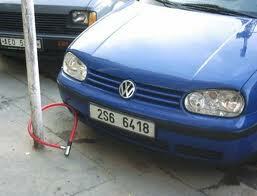 If a bike is worth stealing then no about of locks will stop a thief, but we can make things harder for them! Why make it easy for a criminal? Firstly always lock your bike, but secondly and equally important think about the location of your locked cycle. The best place to leave a bike has to be with other locked bikes, such as a dedicated bike rack, making sure the location is well lit and can be overseen by the public. When choosing a new bike lock, don’t go for the cheapest, these are often cheap for a reason! Purchase the most expensive lock you can afford, but lets not be silly, there is not point spending £150 on a lock, when your bike is only worth £75. D style locks are great for quick and easy locking, they can also be further extended with an additional cable, this cable can be used to secure front and rear wheels, the loops on each end can be threaded through the original D lock. Chain locks can be used to good effect for bike security, when secured with a high security padlock, bike chains will include a soft cover to prevent any damage to the bike frame. When leaving your bike for any length of time also consider any bike attachments, such as lights, these should always be removed. Nearly half of all reported bike crime is carried out from a home, from garages, sheds and gardens. Consider installing a ground or wall anchor, even when the cycle is stored inside a locked shed, anchors can be used along with a good cable lock to secure your bike. If a suitable outside location can not be found, bike should be stored inside, hocks on a ceiling can be used to reduce the space required. Dedicated cycle insurance policies can be purchased, but these are often expensive, just dedicated to the bike enthusiast. Any easy way to cover your bike could be to extend your home contents insurance by specifying your bike is covered when away from the home. The most determined thieves will always find a way through any locks, but a combination of good quality locks and careful consideration to where you leave your bike will result in a long term relationship with your bike. A new scam has been highlighted in the Wandsworth borough of London, whereby criminals are marking vulnerable homes by placing a discreet sticker onto a front door. Working in pairs these criminal gangs send out ‘scouts’ to identify homes with weak security, a sticker is then placed on the door highlighting this fact. Police are already linking these stickers to at least one burglary in Wandsworth. The stickers are printed with the words “24 hour locksmith” and a telephone number. However the number does not exist. “There is strong evidence that some organised teams of burglars may be using this method to target homes in south London,” said Councillor Jonathan Cook, the council’s crime prevention spokesman. The local council are therefore urging local residents to keep a very close eye out for these stickers and if they find one to remove it straight away. The police believe that a scout is sent out to an area to find potential targets, this is carried out by calling at homes to find out if anyone is home. This also gives them the chance of getting up close and personal to door and window locks, if the property is deemed in-secure a sticker is left. With criminal gangs now targeting our houses, home security has never been more important. Front and back doors should be fitted with a British Standard lock, these have passed vigorous tests to prove their security levels, all opening windows need to be fitted with an appropriate window lock. Check out our secure range of door locks and window locks. If you have any concerns about your levels of home security, then please get in contact, we would be more than happy to offer security product advice. Burglar Alarms – What Are My Options? Keeping your home safe and secure for your family and friends is arguably the most important aspect of being a home owner. 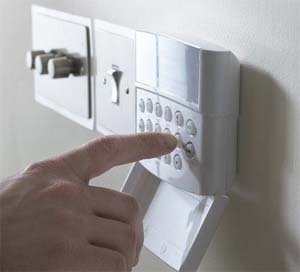 One of the most vital instruments in keeping your home safe is a burglar alarm. If you should be unfortunate enough to have your home broken into, either when you’re in or out, a burglar alarm can serve as an alert for neighbours or yourself, or just act as a deterrent for intruders. 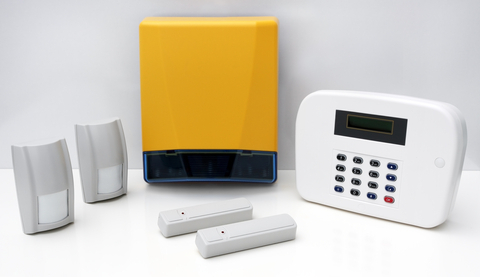 Buying a burglar alarm isn’t as simple as just choosing the first one you see; there’s a range of devices that offer different features and functions to help you protect your home. An alarm system can set you back anywhere from £50 to £150. For £50 you can purchase a basic alarm kit, which usually includes a PIR motion sensor and door contact alarm system. As this system works on wireless technology, batteries will need charging regularly. If you’re willing to spend a little extra, a premium home alarm kit is another wireless system which incorporates a brilliant alert feature to set it apart from the basic kit. You can programme the system with up to three phone numbers, and if the alarm is triggered, it will attempt to make contact with one of the three numbers. This means that if you’re out when someone tries to enter your home, you will know instantly, rather than being greeted with an unpleasant surprise when you return. For families, there is an alarm kit which gives you even more security features than the premium kit, helping you to tailor the functions around busy family life. The external alarm is bright yellow, so any potential intruders know you’ve got an alarm system in place. It features the same telecommunication system as the premium kit, but coupled with an Exit-Entry system, allowing you to programme your alarm to activate itself after you leave. At £150 to £200, it’s a little more expensive but the extra features make it great value for money. 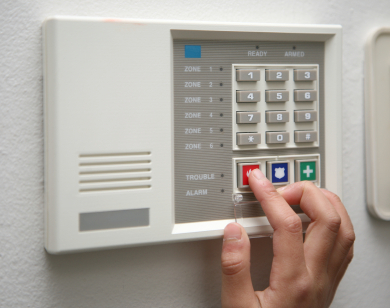 Monitored alarm systems are arguably the most thorough and extensive burglar alarms. If the alarm is set off, the staff at the alarm company will be notified and the relevant action taken. They are normally contacted by phone, but if the main phone line is cut, a back-up wireless contact system will ensure the staff are notified. Monitored alarms can cost between £400 and £650, with a monthly fee of £15. Installing a burglar alarm system doesn’t just benefit your security and peace of mind – having anti-theft measures is a great asset when dealing with insurance providers. If you have an alarm system installed, the insurance companies take that into account when doing a risk assessment on your property, and as such your insurance premium will decrease. When selecting your system and installation company, make sure the company you choose is a registered one. There are many regulations that need to be adhered to when installing an alarm system and companies should carry out a site survey before installation. It is recommended that you get at least three quotes before purchase. Article supplied by Ashley, who writes for VHL Property Maintenance covering London. South Yorkshire Police enter homes as break-in warning! South Yorkshire police have started a new crime warning scheme to highlight the ease at which some homes can be entered. The police force simply walk down a street trying doors, any houses that are open are then entered, this give the opportunity to pass on important security information to the residents. South Yorkshire found that students were especially vulnerable to house theft, as doors and windows are routinely left open. Door and window locks are great, but they have to be used, there is no point fitting high security expensive locks if they are not used! 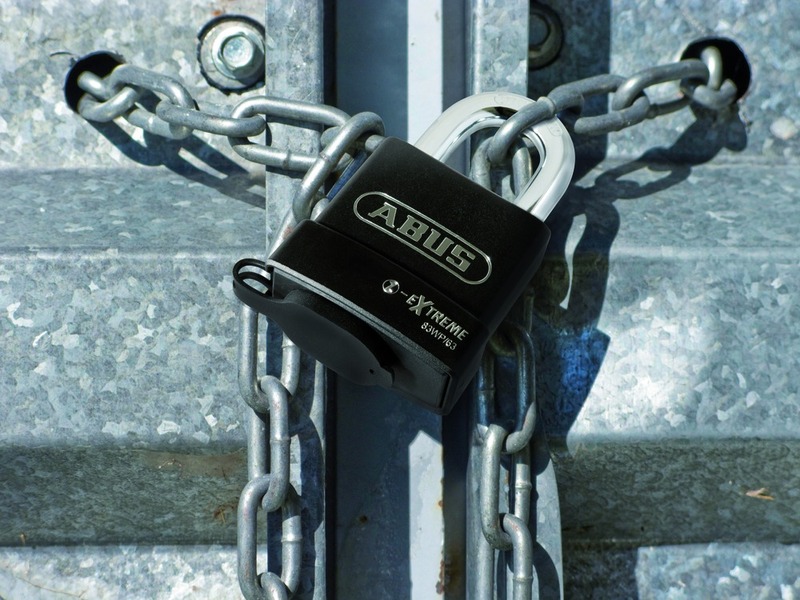 Launched today is our new Facebook giveaway, with your chance to win a fantastic ABUS 83 Extreme padlock worth £50. This padlocks is ideal for Sheds and Gardens with it’s excellent weather protection, with features such as sealed lock body, keyway protective cover and ‘NanoProtect’ chrome plated shackle, making rusty shackles a thing of the past. ABUS rank this padlock as a ‘9’ on their 1-10 Global Protection Standard, the ABUS GPS offers a world wide unique security standard for all their security products, allowing users to gauge which product is best for their security requirements. The padlock on offer is supplied with a closed shackle, where the main padlock body is built up around shackle, offering increased shackle protection for attacks. To be in with a chance of getting this padlock check out our Facebook Page – https://www.facebook.com/locktrader.co.uk this giveaway is open to all people who ‘Like’ our page. 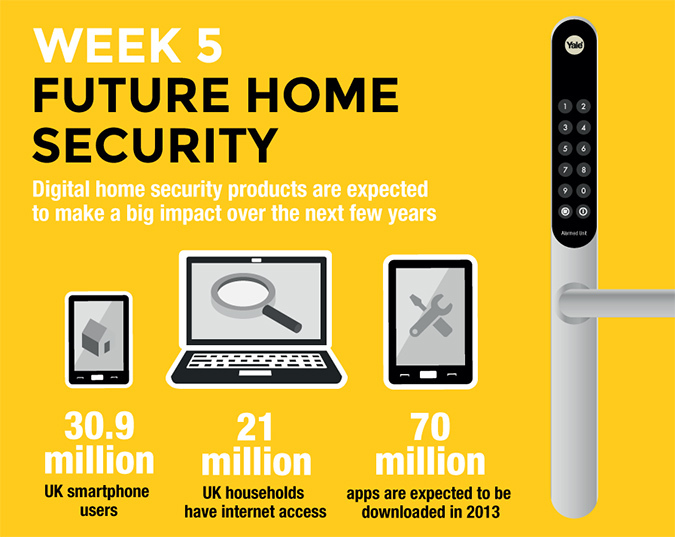 The final week of National Home Security Month is now upon us, this week we are looking into the future and how home security will evolve over the next few years. Distraction burglary is now affecting thousands of UK households every year, a technique that has been developed as home security has improved. Home office figures show that 11500 homes are affected each year by bogus callers gaining access to a property, therefore, seeing who is calling at your door has never been so important. An electronic door viewer allows easy viewing anyone who calls at the front door, most can also take and save a picture of the caller, this can be stored for later use if required. Home electronic door locks are now commonplace within the UK market, allowing for simple entry into a property. Digital door locks allow homeowners to control access to their house with a pin code of their choice, thus removing the chance of forgetting or losing a set of keys. A Temporary pin code can also be used with digital door locks, allowing other people access to the home for a limited time period, without the need to collect a set of keys or change any locks. We hope you have enjoyed following this year’s National Home Security tips, if you have any questions about any of the topics raised during October, please get in touch, our team is ready to answer your security questions. 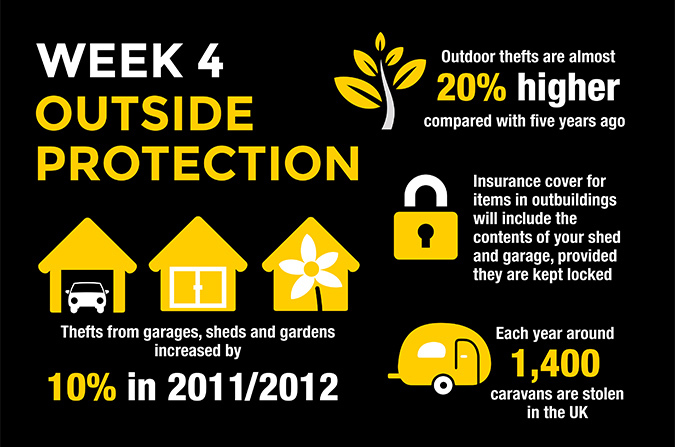 National Home Security month is now into its 4th week, this week we are reviewing outside protection. Garden sheds can be useful storages places for outside items such as tools, lawn mowers and barbecues all of which can be expensive and therefore targeted by thieves. Shed security is often forgotten about or deemed unnecessary but it vitally important as the nights draw in and thieves are looking for their next target. A weatherproof padlock and heavy duty hasp and staple should be used on all shed doors, also consider window security, simple window locks can be fitted or even a net curtain could be used to obscure view into the shed. Other items that are stored in and around the home should also be protected against thieves or vandals. Caravans and camper can be an attractive proposition during darker nights, but can be easily secured by a battery operated stand alone alarm, window stickers can also be used, alerting potential burglars to the fact they have an alarm fitted. Look out for next weeks update, where we will discuss new technologies and gadgets that are helping to fight crime! Not a week goes by without a customer unsure of which colour lock or door furniture they require, not a massive range of colours to choose from, but to make things harder each manufacturer use slightly different colour names. 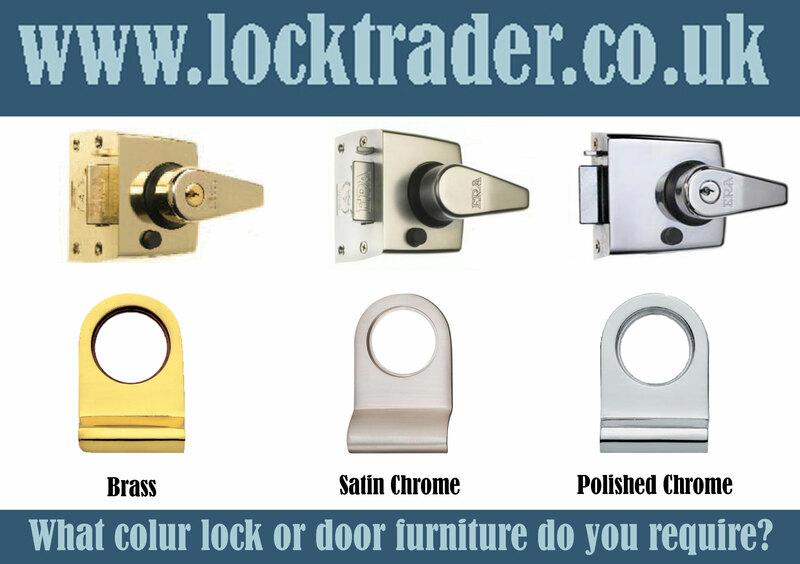 If you are not sure of which colour lock you require, then give us sales team a call. Week 3 of the campaign looks at protecting valuables inside the home and the best options to keep vulnerable items secure. Home Security safes can be used to protect items inside the home, these need to be bolted to a solid wall or floor for maximum protection. Think about the best place to locate the safe, bottom of a cupboard, under the stairs or if you have one in the cellar. Next consider the most appropriate belongings to store within the safe, credit cards, keys, jewellery or important documents i.e. passports. Safes can be purchased with sizes to suit all budgets and space available and also with different lock options, key or electronic keypad, giving options for anyone that is prone to lose keys. The other advantage of an electronic lock, no keys to store, if an intruder does have plenty of time within a property any safe keys could be searched for. Smaller key safes can also be put to good use within a property. Traditionally key safes have been installed outside a property, housing a set of keys that allow anyone with the correct combination access to the property. 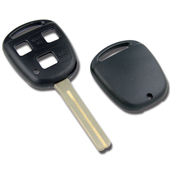 Key safes can also be used inside to house and protect car keys or shed keys. With the advances in car security, theft of motor vehicles is now much harder, so instead theives now resort to breaking into a property to gain access to car keys. The next week of National Home Security Month looks at Outside protection and how to look after sheds, garages and anything left outside, be sure to look out for our next blog post. Home and garden security has become an increasing concern of most property owners worldwide. According to the 2011 statistics taken from the European Institute for Crime Prevention and Control and the International Statistics on Crime and Justice, Australia, New Zealand, the United States, Canada and the UK are some of the countries that rank high in the world’s number of burglaries, demonstrating the seriousness of this upcoming trend. We all know that losing your personal possessions can cause emotional and economical breakdown, depending on the extent of the breaking in. For that reason, it is better to take the necessary security precautions than be sorry. After all, our life and our loved ones’ safety are a major concern of every family man. Every household has numerous entries that a burglar can use to break in, with your garage one of the main ones. It is amazing how many people forget to use their garage locks and leave their property unlocked; hence, make it so easy for practically anyone to drop by and take a “treat” from their belongings. Others, have never thought of adding a garage lock to secure their home. Had they known that many burglaries occur because burglars simply walk in through an unlocked garage door, they would certainly be more thoughtful. It is important that every time you step out of your house, even for a little while, you consider securing your garage. After all, you don’t want to leave a welcome mat for a burglar, do you? Many people cover or frost their garage doors and windows so that no one can see whether their car is inside or not, which is smart enough. However, additional garage door locks add that extra layer of security, garage defender locks also include a visual deterrent with the presence of a large locked barrier restricting garage door movement. In case you own a garage that has no locks installed, you can certainly get a specialist to help you out and keep your house secure or additionally go for a replacement garage door with locks incorporated in the garage door’s mechanism. Regardless of the type of garage door, single, double, up and over or sliding, you can have added security to your standard locks. What is great with some particular bolts is that they can be keyed alike making your life easier, in case you own multiple garages. A clever move to shield your house from unwanted trespassing, is to install a peephole in the door attached to your garage. That way, you can always get an inside look from your house to your garage, in case you hear any suspicious sound(s), and then take the necessary measures without putting your family’s life at stake. Also, if your garage door lifts on a track, you can tighten a C-clamp on the track, for additional low cost security. Take some time to look over your garage, take note of vulnerable areas such as doors and windows then take action by adding additional locks, your insurance company also maybe able to help with garage security advice. Week 2 of this year’s Home Security month has now started, with door and windows now in focus. Burglars now try and avoid smashing windows to gain access to a property as this causes too much noise, instead trying to force a window frame, it is therefore very important to fit all windows with an appropriate lock. All external doors should be fitted with a British Standard Mortice or Nightlatch lock. New School year brings a fresh wave of Students leaving home for the first time, full of excitement and anxiety about leaving home and sampling the local nightlife, often safety and security are pushed to the back of minds. Recent statistics show that 1 in 5 students will be a victim of crime at university or college, student halls and digs are easy targets due to the numbers of people who have access and the risk of door or windows being left open. 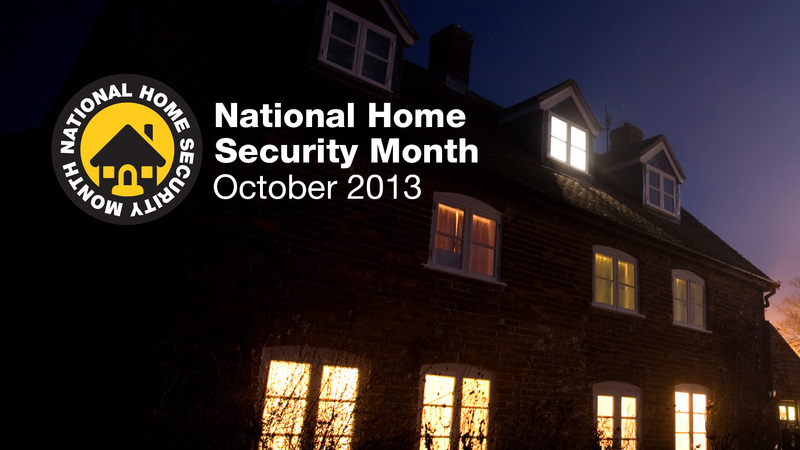 Locktrader is a proud supporter of Home Security Month. Running throughout October the scheme has been created to increase security awareness as shorter days start to creep in. You should never underestimate the capability of the professional thief – size and weight are not necessarily deterrents! If they like the look of something, they will for sure try their hardest in succeeding theft. Let’s get our gardens secure and have a relaxing summer. Do not automatically assume that workers wearing High Visibility Jackets are on official business. The greater the value of your garden contents, the greater the risk that a thief will attack. Be vigilant. Make sure that your property never looks uninhabited. Communicate with neighbors, if they are on holiday, be vigilant on their behalf and the may be returned. Safeguarding expensive garden items is even more important that consideration should be taken, when it comes to walls, fences, gates and access. Higher Walls and fences can be a deterrent to thieves. Not only does is make it harder to see what valuables are in your garden but it would make the removal of your belongings much harder and longer. Try to ensure that valuable items are not easily visible to the casual passer-by (high fences). Ensure gates have relevant security, such as gate locks, Hasp and padlocks and Bolts. a) Permanent Items, such as Troughs, Birdbaths, Sundials should be fixed on a solid base using a strong adhesive. b) Moveable items, such as Benches, Barbecues, Garden Furniture should (when not in use), be chained to permanent ground or wall anchors. If you’re not the type of person who enjoys chaining all your belongings to the ground or walls, then make sure you have a secure shed with the correct locking product to ensure all your movable belongings can be locked away at the end of each day. Fit high security padlocks and hasps on your shed, also check with your insurance company to find out what is covered. Where possible add Grills/shutters or heavy wire mesh on shed windows. Investigate the possibility of getting a wireless alarm fitted to your shed, that links with your home security and last but not least, when storing ladders, bikes, mowers <etc, chain those together inside the locked shed. If anyone did happen to break into the shed it will be much harder to remove belongings that are all chained together. Property marking and warning signs. Enjoy your summer and relax in the sun knowing your garden is as protected as your home. If you require any help with finding the correct security products for your garden please do not hesitate to contact the Locktrader Team. To ensure long life and continuous smooth functioning locks that work to the full standards they were created for, TLC wouldn’t go amiss. Locks need, just like most things. The better cared for locks, are the locks that live and work longer to their intended standard. Securing your family home and belongings should be on the top of your ‘to do’ list, protecting your loved ones and possessions from criminals is essential. If you already have great security locks on your home, don’t forget to look after them. An old lock that’s not maintained may not work to the standards it was designed for, making it easier and more likely for a criminal to target. Here are a few tips on how to keep your locks in working order. Keeping your locks clean free of dust and dirt is one way and lubricating occasionally is another way to keep your locks working for years to come. One Major problem with lubricating your locks is that most people don’t. Once they have been installed, it’s almost like, ‘out of sight out of mind’. Until your locks begin to fail, get sticky or become a nuisance. Many people put up with the aggravation of a sticking door lock for years. Ironically, by cleaning and lubricating them, you can fix most locks in a matter of minutes. Fixing a few stubborn locks might involve disassembling, cleaning, and then reassembling the lock. Powdered graphite is the recommended material for lubricating cylinder locks long term. You can buy powdered graphite that comes in a little tube with a thin nozzle specially designed for squirting the graphite powder into the keyway. You can also buy powdered graphite in an aerosol spray, a product made and designed specifically for lubricating locks. Just stick the plastic nozzle in the keyway, press the squirt button and ‘abracadabra’. A lot of people would use WD40 as a lubricant for their locks just as we do and have done many times. WD40 is a good lubricant for a while. It gets the job done and does exactly what it says on the tin but we would advise not to use it long term. The problem with WD40 is, it stays wet. This will in time attract dirt and dust, and the consistency gets thicker with age. If you think about it with grit, dust and a thick consistency, after time this is more than likely going to block your locks, slowly clog them causing them to fail. WD40, yes use as a lubricant short term but to give your locks a long life we would definitely advice to go down the powdered graphite route for long term. Keyed Alike, Keyed Differ and Master Key suites explained. What is ‘Keying Alike’ or what is a ‘Keyed Alike’ lock? Keyed Alike locks are a set or ‘suite’ of locks that all have the same key code, i.e. one key fits all locks. This is convenient when two or more locks are to be used by the same group of people or person. Example: – You work at the local leisure centre, doing fitness classes etc… there are four different storage cupboards to keep all your relevant equipment. Each cupboard is locked with a padlock. Having these four padlocks ‘keyed alike’ means you only need to carry one key around with you to open all four cupboards instead of four keys, one key fitting each different padlock. What is ‘Keyed to Differ’ or what is a ‘Keyed to Differ’ lock? All locks have different key combinations, i.e. a key from one lock will not fit any other lock in the same group, there is usually a limit to the total number of differs available for a particular lock group but is generally high and not normally a problem for most applications. Example: – At your local College the students get the choice to hire out a locker for each term. Each locker is locked with a keyed to differ padlock. This means every padlock has a different key code to ensure no one else using the lockers can gain access to your locker with their own key. These are a number of locks where one ‘master’ key can open all the locks in a suite, each lock within a master key suite also has its own set of keys. A basic master key system comprises of a Master Key which passes a group of locks, each with its own separate ‘differ’ key. A larger group of locks may require dividing, into departments for example, and each department’ locks would have a separate ‘sub’ master key which would pass the locks in that department but not the locks in other departments, The Grand Master Key would of still operate all locks in all departments. Example 1: – A block of 12 flats has a master key which passes all locks, tenants would be issued with a key that operated their individual flats but each tenant key would also pass a ‘common’ cylinder fitted to the external entrance door to the flats. Another key may be allowed to access the main entrance and a Cleaners cupboard only. Example 2:- Your local School has six departments and ten buildings. The site manager requires one master key that passes all locks. He requires six sub master keys, each one passing locks in the relevant department. Each classroom has its own ‘differ key’ Sub Master Keys are issued to the relevant Department Head and ‘differ keys’ are issued to teachers so that they have a key to their own classroom. Separate keyed alike locks still passing the master key are fitted to Cleaners Cupboards, another keyed alike set to Store Cupboards. Main entrance doors are fitted with keyed alike locks which remain outside of the main master key suite due to the consequences of a master key being mislaid or stolen. In these circumstances, only the outer door cylinders would need to be changed. Locktrader can offer a master key suite tailored to your requirements and budget, even introduce the system in stages. Let our experts help you plan your system. Choose from Patented Systems from the Evva range and Asec. A Patented mechanism and key blank affords many years of protection against unauthorized key duplication. Good example below of the wrong type of padlocks being used. With the good old saying of, ‘Your security is only as good as your weakest point’ the above animation shows the weakest point being the person who used the wrong padlock! If you require any help with lock and security selection please give us a call on 01843 209239. Roller Shutters are commonly used on shops and businesses to maximise security and to help prevent thieves gaining access. Roller Shutter can be secured by two different types of locks, Bullet Locks and Shutter Locks. Roller Shutters that are fitted with runners on either side can be secured with bullet locks, a hole is drilled through the runner and shutter when in the closed position big enough to take the pin section of bullet lock, the housing can then be welded to the runner in line with drilled hole. Once fixed in place bullet locks are inserted into the housing where the pin goes through rear of housing, runner and shutter lock thus restricting any movement of the shutter. Bullet locks can be supplied Keyed Alike, allowing one key to operate all bullet locks, this makes opening a number of shutters quick and easy. Bullet locks for shutter doors are normally attached to each side of the shutter door. Roller Shutter can also be locked with Shutter Locks, these use a lock body bolted to the rear of Shutter Locks with arms that extend from the side, these arms lock the roller shutter in the closed position. Also available keyed alike and in different shapes and sizes to suit all types of shutters including ultra narrow for confined spaces. Shutter lock security should not be forgotten, yes shutters on their own can look very secure made from vast amounts of metal, but they are only as secure as their weakest point, this is often the locking device. Maybe you are of the mind set that shutter could easily be rammed then why not combine your shutter security with a parking post or bollard! Burglars never want you to be home when they strike, it only makes their job harder after all. Considering you could be down the bottom of the garden, taking the bins out or calling the kids in for dinner, they will always try their hardest to succeed. This is why we are here to help secure your property and belongings with the highest form of security available to you. This will deter the burglar and lower the chances, considerably, of the Burglar following through with their actions. Whether it’s a planned out burglary or a passing by ‘take that chance’ burglary. Home or not, make a burglar’s job impossible. Ensure security of your property is at its maximum, include British Standard locks on all main entrances/exits. Installation of secondary security products such as window locks, door bolts and bars are also important. Many different types of secondary security items are available, choose one that best suits your doors or windows. Secondary security is an important defence, against any burglar/intruder. Ensure your property complies with the current British Standard Regulations. Be sure to ask your insurance company what locks and secondary security is required for your property to ensure you are covered if you do suffer a break in. Extra locks can be used on doors and windows with existing locks to improve security. Available for all types of doors and windows, in a finish that will match your door or window. Ask our sales team for availability today. Why not push the boat out a little further and have an adequate alarm system installed, Burglar alarms for homes and commercial properties provide added security to deter burglars both physically and a visual deterrent. Wirefree home alarms make installation very easy, with minimal setup required. Wireless Alarms kits are available for standard home fitting with required parts included in the box all pre-linked ready to be used. Another simple way to prevent burglary (one of the less costly options) could be neighbourhood watch/security. Making your neighbourhood safer is partly about increasing security, but it’s also about reducing the incentive to commit crime. Neighbourhood and Home Watch groups work on both aspects, they initiate security measures and also work to make their neighbourhoods pleasant and friendly places where crime is less likely to happen. A lot of great childhood memories come from playing outside the house on our street with friends, riding bikes, hide and seek, however, times have changed. Crime has risen and Burglars are attacking and sneaking in homes whilst you’re in the garden hanging out the washing….its scary!! A family home needs to be a safe home, get to know your neighbours and pull together as a community. If at any time you are unsure about any of our products on Locktrader or just need some advice on what locks you need, or whether you think your home security is adequate, please do not hesitate to contact our Locktrader team. Your home is your castle, the Locktrader team is here to help fortify it. 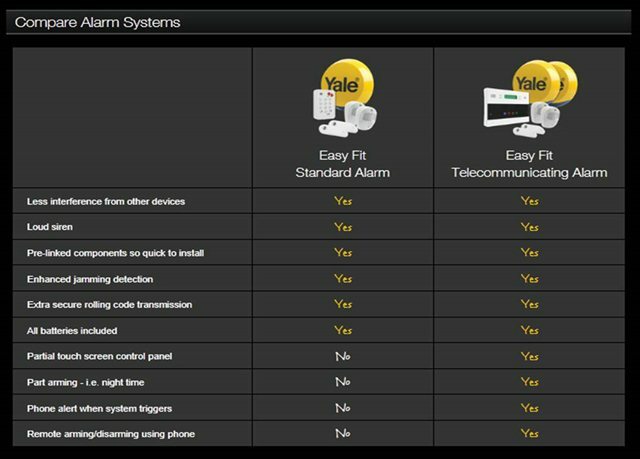 Yale has updated their range of Burglar Alarms with a new Easy Fit range of Wire Less Alarm Kits, two models have been created Standard and Telecommunicating both of which can accept up to 30 attached devices and come with 2 year guarantee. Buy Yale Alarms from locktrader today. I had a very random but extremely interesting conversation with a lovely lady on a flight to Italy back in May, we got chatting about the book that I was reading, Ben Anslie – Close to the Wind, as the chat went on we discussed work, where I explained that I worked for www.locktrader.co.uk at this point she started to tell me, with a wry smile on her face that she hardly every locks her front door. I was astonished and started to question this, if you don’t lock your door do you have insurance? Yes was the answer, but if you suffered theft from your home, the insurance company would not pay out? Ah yes but we don’t have any crime in our village. So it turns out that she lives in a small village in sleepy Cornwall with low crime figures, Ok I can go with that but still find the concept of not locking a door when away from a property very odd, I sometimes even lock the door when I am in the garden or garage, just in case someone sneaks in when I’m not looking! So this chance meeting got me thinking, how many other people leave their dwellings unlocked, a quick Google search and turns out more than you think! Let us know if you don’t lock your doors and know of other people that don’t? The reason for not locking doors seems to be varied, but the party line has to be always lock your door! And don’t just take our word, the Police and British Insurance Companies give the same advice. Ever wondered how cylinder locks operate? Such a small lock and so wonderfully simple! Click on image to show animation. As can be seen from the above image as the key is inserted into the Plug part of the lock the top and bottom pins move up and down according to the different depths of cut, when the correct key is fully inserted into the lock the pins will line up with top of plug allowing key to turn. This example cylinder shows 7 pins, other types of cylinder can have 5, 6 and sometimes even 10 pins, high security cylinders use side pins for increased security in similar fashion to normal top and bottom pins. 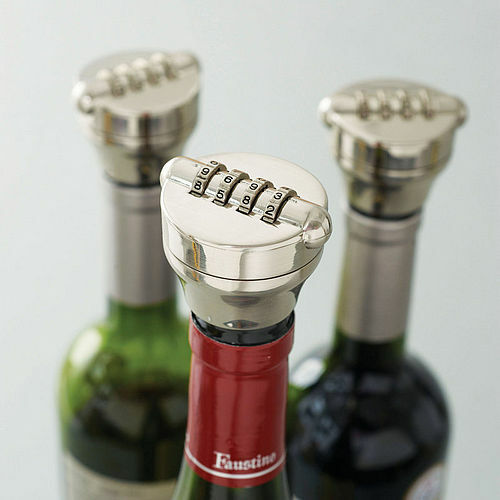 For anyone that can not finish a bottle of wine!! This great video from Yale provides all the required security points to check before going away, some may seem a little obvious, others not so much, such as putting away valuable items, how many games consoles or expensive electrical items are visible from outside your home? When checking and updating home security don’t forget about Patio Doors. Over the last 30 years sliding patio doors have become very popular, replacing old style French Doors, patio doors offer large glass areas allowing plenty of light into a room with easy operation combined with modern materials for low maintenance. However early patio doors lacked on the security front, thieves soon found that installation methods could easily be reversed to remove doors, allowing easy access to properties, often sliding doors would be replaced leaving the home owner unaware of method of entry! Luckily nowadays door designs and technology have moved on extensively to create more secure doors, made from better materials with better security levels, locking systems installed in patio doors have also improved with the introduction of multi point locks . Insurance companies often either give discounts for extra locks especially on patio doors or insist on secondary locking devices. Simple easy to use patio door locks can be fitted to the top and bottom of doors to give extra security, these are simply fitted to sliding doors, attaching the lock body to the fixed patio door with a push to lock bolt that extends into the moving door. These types of locks do require a hole to be drilled in the sliding door, be careful when drilling this hole not to hit the glass! 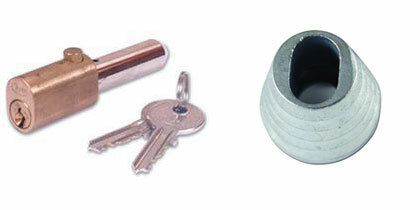 If you require any assistance with locks for patio doors please contact the locktrader sales team. If you have to ask the question ‘Should I change my locks?’ then then answer is yes, any doubt over security should be addressed to give peace of mind. Moving to a new home – When moving house it is recommended to change locks, who knows what people could have the keys to your new house. Lost Keys – Always a good idea to change locks following the loss of keys, after all who knows who may have found them, also be wary, that good Samaritan that returned your keys may not be as friendly as you think? Insurance Recommendation – Most insurance companies now insist on British Standard Locks for all external doors, good to check your policy and upgrade as required. Old or Warn Locks – We get lots of stories from customer relaying their woes after being locked out due to faulty or old locks. If in doubt get the lock changed or repaired. Break in or attempted burglary – Good time to reassess security levels. If access was made into your property the chances are lock damage will have occurred, replace with new more secure locks, attempted only – take a good look at the lock for any signs of damage and replace as necessary. Now available from Key Site http://www.keytrader.co.uk, full set of FB Keys for all Fire Brigade Locks. This set of keys includes FB1, FB2 and FB4 keys for rim locks and FB1, FB11 and FB14 keys for FB Padlocks. Union have finally added to their StrongBolt range of locks with new Dead, Sash and Bathroom locks. First released back in 2009 StrongBolt locks were launched to compete against the new wave of budget locks, but with the backing of a quality name such as Union. 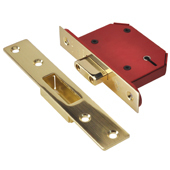 Featuring chamfered bolt design for increased strength of the lock under side load testing, easy to reverse radius latch with Union’s unique SwitchLatch technology no tools required to change latch direction and standard case sizes allowing for easy retro fit without the need for additional carpentry or spoiling edge of the door. Available in Stainless Steel and Polished Brass colours with case sizes of 68mm and 81mm and supplied with 2 keys, these new locks with excellent price structure will make a large impact on the locking industry. New to the home security market is the Secure Ring, a new and ‘Secured by Design’ door chain / restrictor, a device that allows homeowners to identify a caller before fully opening a door. Square Ring is the first door chain products that are specifically designed for UPVC doors, with a ring attached to the end of the chain that is placed around the door handle and thus restricting how far a door can open. Available in two versions Standard with a long bar that is appropriate for wall fixing and Side Light suitable for doors that have a window or side light available in Black, Bronze or White. Nice video that shows how Laminated Padlocks are made. Union have created a new range of affordable locks under the name of ‘Essential’ promoting affordable and reliable locks. The new range so far includes a 3 Lever Mortice Dead Lock and Sash Lock and a Tubular Latch, I guess the collection will be expanded in the future! A feature of the new locks includes open case reversible latch on Sashlock, 12.5mm deadbolt and simple easy to fit the striking plate all available in boxed or Visipack for shop display. From the product pictures and information the Essential Range so far looks very good with very aggressive prices, only time will tell if the products are as good as Union tell us. If you purchase any of the new Essential locks, let us know what you think. New from Silca a range of replacement car key shells, these can be used when an original key case has become damaged through general wear and tear but the internal electrics are still working. Love them or hate them keys are a way of life and here to stay! All fine and dandy when you know where they are but a different kettle of fish when you mislay them! Replacement keys for homes are easy to source but car keys not so much. Car security over the last 15 years has become a lot more sophisticated as thieves have learnt new ways to gain entry to vehicles, thus making car key duplication much harder and a lot more expensive. All car keys these days are fitted with an immobiliser that prevents a car from starting if the wrong key is used, new car keys have to be programmed to the vehicle to operate and this it where it starts to become expensive. Each motor manufacture uses different immobiliser technology therefore an Autolocksmith needs lots of equipment to work on different vehicles, replacement keys with a chip in the head can also be expensive ranging from £5-£100. Moral of the story….look after your keys and make sure you have a spare, as a total loss of keys for home or house is extremely costly!